I know its probably been answered before, but I'm not really sure what to google to find the answer. 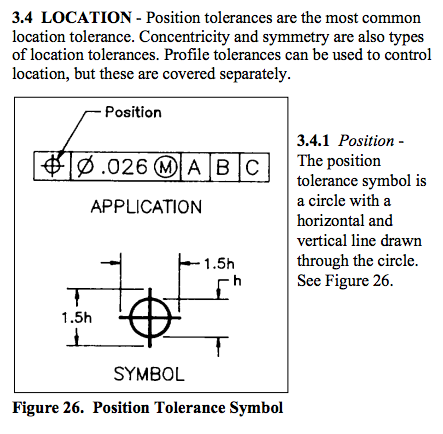 It indicates position tolerance in inches and (mm). More info on this pdf. 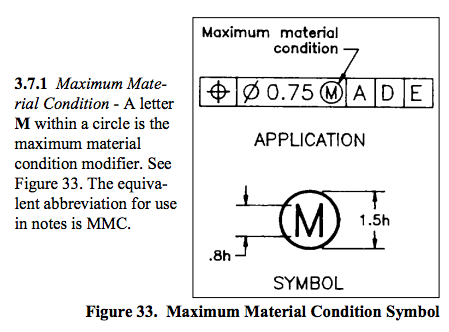 As comments in the question and this answer point out, the "M" in a circle stand for "Maximum Material Condition", as in largest pin width or smallest hole. Which is a Drawing layout for the Machining, with the GD&T positioning tolerance The position tolerance M symbol represents Maximum material condition If there is L symbol That represents Least Material Condition. Not the answer you're looking for? Browse other questions tagged symbol or ask your own question. What is this circuit symbol? Electrical symbols, what does a dot before a triangle mean? What is this electronic symbol? What does the wishbone symbol mean? 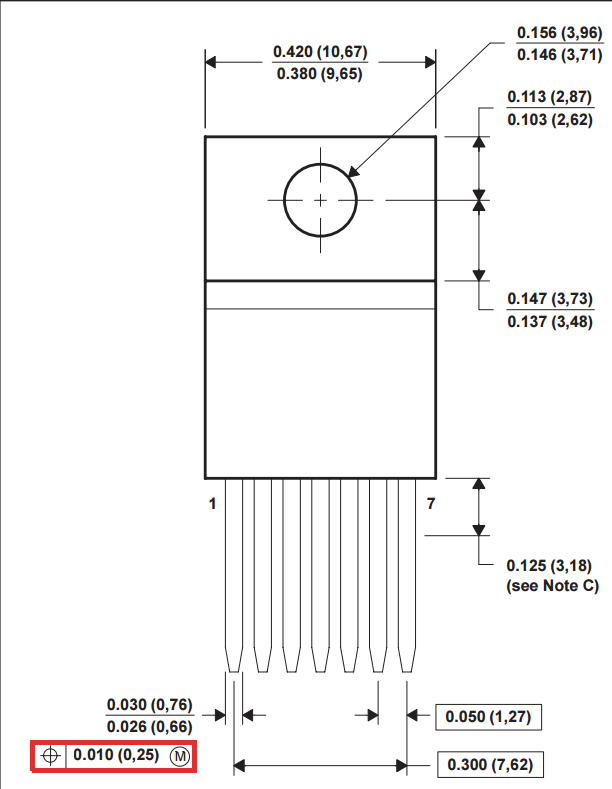 What is this type of jack with contacts and light emitting diode called (from schematic symbol)? What does this key looking symbol (with 4 bars) indicate? Where does this current source symbol come from?